Who can use this Bidding or Teaming Agreement? Any two businesses who want to submit a tender for a contract can use this bidding agreement. What is this teaming agreement for? 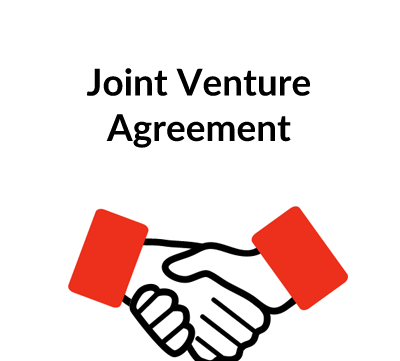 This bidding agreement is designed for two businesses that want to co-operate in tendering for a contract. If successful, one of them will be the lead contractor and the other will be a subcontractor. Tender submission. Both parties need to agree and sign off on the tender document. This means exchanging pricing information. Tender negotiations. The bidding agreement will specify which of them leads the negotiations and ensure that the other is kept informed of negotiations and can participate when appropriate. Tender costs. Usually each party is responsible for its own costs. But sometimes on a large tender, another organisation will be introduced to provide support and, in that case, the costs might be shared. Sub contract terms. 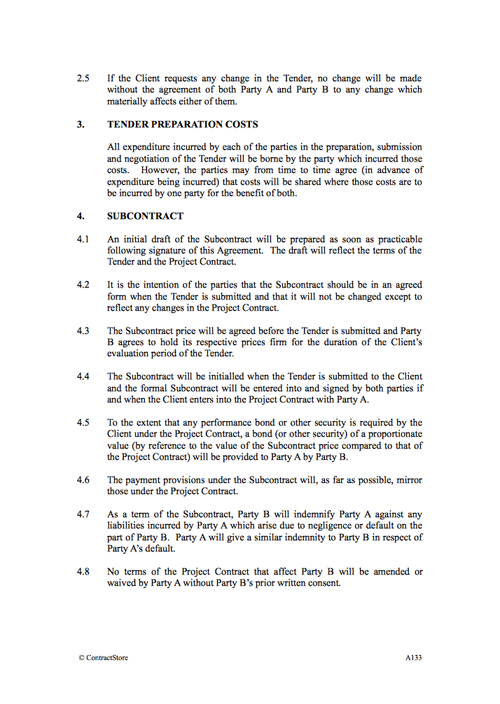 Our bidding agreement provides for one of the parties to be a subcontractor to the other if the tender is successful. In consequence, the bidding agreement will set out the key terms of the sub contract so that argument at the time the tender is awarded can be avoided. Alternatively, there may be a joint venture agreement signed if the bid is successful. Confidentiality is clearly important because sensitive commercial information is likely to be exchanged in the bid process and if this is not successful, both parties want to protect that confidential information and data. What detailed terms does the agreement contain? 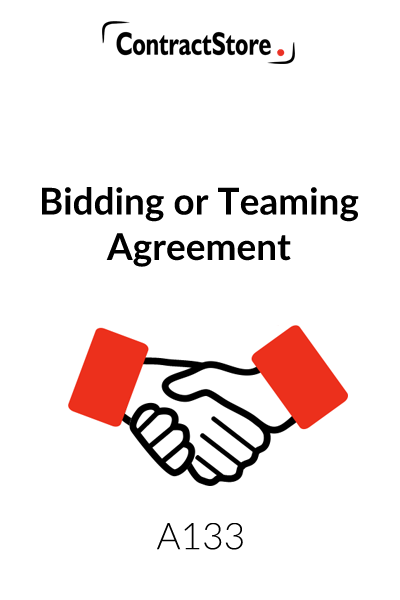 This Bidding Agreement (or Teaming Agreement) is designed as a contract template to provide a framework for two companies that wish to co-operate together in a Tender for a project. Our draft assumes that one of those parties, Party A, will lead the Tender and sign the Project Contract if the Tender is successful. Party A will then enter into a subcontract with Party B for Party B’s portion of the project. A likely scenario is where Party A is invited to submit a bid for a contract but it does not have all the expertise required by the tender documents. So, Party A teams up with another company that has that expertise and is willing to support the bid and become a subcontractor if it is successful. This sets out the basis upon which the two parties intend to co-operate. Clause 1 creates the basic agreement between the parties to co-operate in preparing the Tender. The precise role of each party will need to be clearly defined and this is dealt with by a reference to the Appendix. This clause contains wording which requires the parties to co-operate “in good faith” – i.e. honestly and openly. While the meaning from a legal perspective is somewhat unclear, its does suggest the right spirit for co-operation on a project such as this. This clause deals in relative detail with the practical aspects of the Tender. In the circumstances it is likely that Party A has been invited by the Client to submit the Tender. Party A will lead the negotiations but – and this is important – it will keep Party B informed of what is going on and may try to bring Party B into the negotiations directly with the Client. The clause requires both parties to sign off on the Tender and no change will be made without the consent of both of them. Clearly, this could present problems – if, for example, the Client wants to expand the scope of the project without increasing the price, one of the parties might be more willing to accommodate the Client than the other. Such a situation is not dealt with expressly in this agreement but under clause 6 they may agree not to submit a tender and so bring the Agreement to an end. It is usual, as stated here, for each party submitting a Tender to bear its own costs. We allow for a situation where one party could incur costs which benefits both parties and in such a case, with prior agreement, those costs will be shared. Such a situation could arise, for example, if representatives of Party A fly to a meeting with the Client and Party A wants a contribution towards the air fares. Or, one of the parties might get some support from a technical consultant and the consultant’s fees are shared between them. This clause contains a number of provisions, which are designed to avoid future uncertainty as to the terms of the subcontract. Clearly, until the Tender is accepted and the terms of the Project Contract are known, it is not going to be possible to finalise any subcontract. However, the principles need to be agreed in advance and some of those are contained in this clause. As will be seen, this clause provides for the draft subcontract to be settled, so far as possible, when the Tender is submitted and for it to be initialled at that stage. Later changes will be made by agreement and the subcontract will be entered into as and when the Project Contract is awarded to Party A. The rest of the clause contains reference to some of the key elements in the subcontract arrangements – price, payment, indemnities etc. When, as here, two parties agree to sign another agreement at a future date, the terms would not necessarily be enforceable: under English law, for example, it constitutes “an agreement to agree” which the courts would be most unlikely to enforce as there is not sufficient certainty as to what the precise terms of the subcontract will be. Also, there is a risk that the parties fall out over the terms of the subcontract before it is finally signed. This is a difficult situation but hopefully, by agreeing the key terms early on there is less risk of a problem at a later stage. For reasons stated above in relation to subcontracts, a further agreement may be appropriate – when the Tender is submitted, a more detailed joint venture agreement could be entered into which crystallises the terms on which each party will co-operate and deals with detailed payment terms etc. A further agreement might also contain the draft subcontract as an Appendix so that there is certainty at that stage as to the terms of the subcontract. A Bidding Agreement tends to be somewhat short-term in nature and, in any event, will expire if the Project Contract is awarded to some third party. We have inserted three other situations, which might result in expiry. Clearly, it is important in any tendering situation such as this that there should be strict confidentiality rules. We have, in sub-clause 2, provided for sensitive technical proprietary information to be returned by each party to the other if the Tender is unsuccessful. This clause contains some general obligations – to use best efforts to procure the bid, to act in good faith and to act on an exclusive basis. Clause 8.4 is designed to prevent either party from co-operating with anyone else while this Bidding Agreement is in place. A Bidding Agreement such as this tends to be somewhat personal in nature and is therefore it is appropriate to restrict assignment and to restrict subcontracting. Having stated the governing law in clause 10.1, we refer to good faith negotiations between senior executives followed by arbitration if that proves to be unsuccessful. For other possibilities with respect to resolution of disputes see our Free Documents on Arbitration, Governing Law, and Jurisdiction that can be downloaded from our website.